Essential fatty acids (EFAs) are incorporated into every cell of the body, and are key structural, metabolic, and regulatory components of cells. EFAs must be consumed through diet because the body is unable to manufacture them, and without them, we can not live. They improve and regulate cellular function, reduce inflammation, modulate immune response, optimize health and well-being, and help prevent chronic disease. 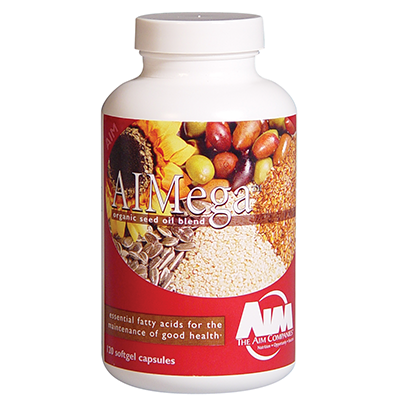 AIMega® is an organic seed oil blend that delivers an important source of healthful and essential omega 3, 6 and 9 fatty acids.